Questions about Kichler Lighting 7744DBK? 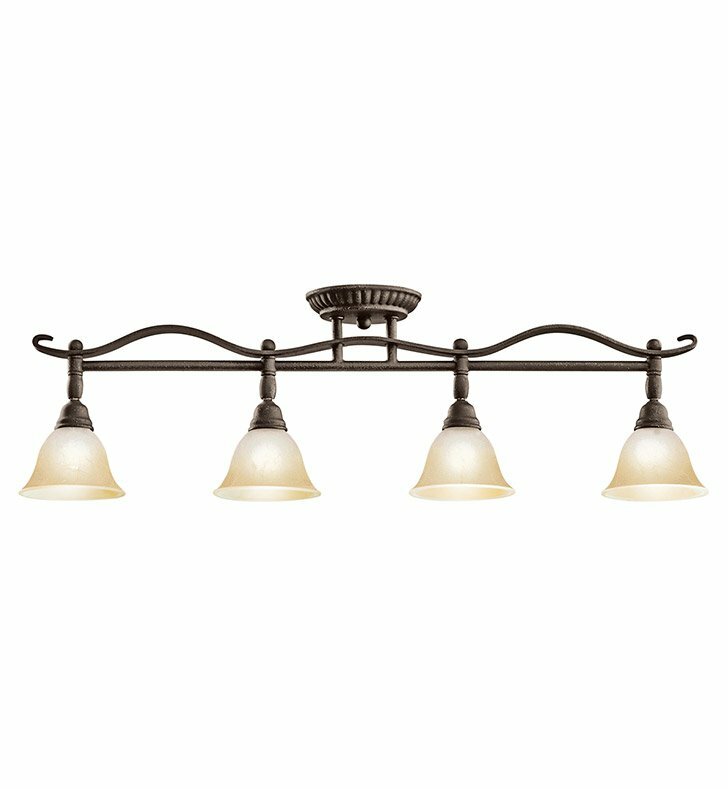 This 4 light halogen fixed rail from the Pomeroy collection enhances the beauty of any room by giving it a touch of elegance. Crafted out of wrought iron and featuring a distinctive Distressed Black finish and Sunrise Marble Glass, this design will effortlessly accent your home. Dimensions: H 9 1/4" x W 5 1/4"